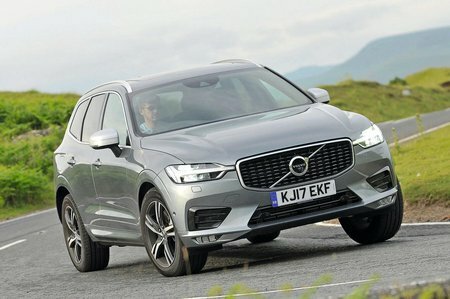 Volvo XC60 2.0 T8 390 Hybrid Inscription Pro 5dr AWD G tronic 2019 Review | What Car? What Car? will save you at least £5,400, but our approved dealers could save you even more. Adding the Pro Pack to the already luxurious Inscription trim gets you air suspension, a heated windscreen, a heated steering wheel, LED foglights and even massaging front seats. It’s far too pricey to recommend, though. This plug-in hybrid version combines batteries, an electric motor and a petrol engine to maximise efficiency and pump out a healthy 385bhp, providing rapid acceleration. On a full charge, it can officially cover 28 miles on electricity alone (we managed 22 miles) and it has the lowest CO2 emissions in the range. The T8 is most efficient in town; on the motorway, once the battery is depleted you will use up a tank of petrol pretty quickly, so high-mileage users will be better off sticking to the diesel models.